Stylish and dependable. 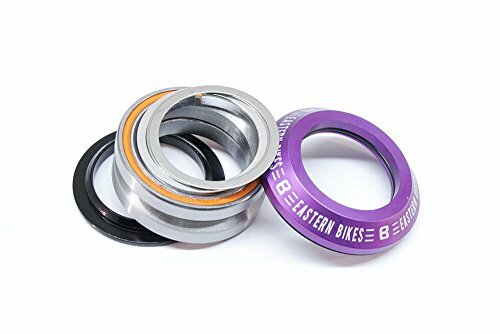 Fully sealed bearing 45/45 integrated headset works with many BMX Bikes, Scooters, and Mountain Bikes. Comes in a wide range of anodized colors to match with other ano parts. A great way to revitalize an old bike with some color and smoother steering. If you have any questions about this product by Eastern Bikes, contact us by completing and submitting the form below. If you are looking for a specif part number, please include it with your message.